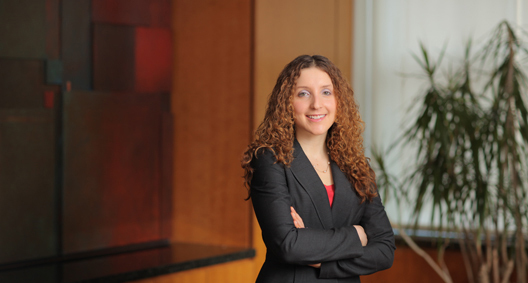 Anat Maytal focuses her practice on complex commercial litigation and employment and labor law in both state and federal courts. She draws upon her extensive experience in legal research and writing to provide thorough advice and in-depth analysis for her clients. Currently involved in representing Irving H. Picard, Securities Investor Protection Act (SIPA) Trustee for the liquidation of Bernard L. Madoff Investment Securities LLC (BLMIS), in connection with BakerHostetler’s role as court-appointed counsel. Has been involved in extensive motion practice in a variety of litigation matters related to the liquidation, seeking to recover assets from feeder funds, banks, insiders, entities, and individuals for the benefit of defrauded BLMIS customers. Represented a pharmaceutical corporation in a litigation matter brought by a minority shareholder and secured a complete dismissal of the action following a motion to dismiss or in the alternative for summary judgment, and a motion for sanctions. Assisted in representing an employer in business competition litigation involving the enforcement of restrictive covenants and trade secrets misappropriation by researching and analyzing complex legal issues, drafting court documents, and interviewing the employer's staff in preparation for litigation and subsequent FINRA arbitration. Represented private fund engaged in providing asset-based commercial loans in dual state court proceedings in dispute brought by a borrower. Was involved in the drafting of exhaustive dispositive and non-dispositive motions, depositions, and appeals before the Appellate Division for the Second Judicial Department. Involved with the Equal Justice Initiative of Alabama, a nonprofit organization that provides legal representation to indigent defendants and prisoners who have been denied fair and just treatment in the legal system, in the representation of a client facing execution in Alabama. Involved with the firm's partnership with Her Justice (formerly inMotion), an organization that provides legal services to low-income women and victims of domestic violence. Has represented clients in contested divorce disputes involving child support and custody issues. In one case taken to trial, the defendant husband agreed to a favorable custody arrangement after the team put on the client's case-in-chief. Coordinator of the firm’s partnership with the New York City Law Department's Public Service Program, to conduct and defend depositions in tort cases ranging from individual damages actions to multiparty litigation.